Oliver White is one of the most interesting people I’ve ever met. I was super excited to see that he has sat down with April Vokey to record an episode of her podcast, “Anchored.” I consider both Oliver and April friends, but I’ve never actually been in a room with them together. This conversation did not disappoint. Two remarkable folks having a remarkable conversation. Oliver White’s story reads like the plot of a movie. A movie with a plot that isn’t at all realistic. A whirlwind ride from the mountains of North Carolina to the flats of the Bahamas and the jungle of Guyana, by way of Wall Street. Take a few minutes and get to know one of the most unique folks in fly fishing. 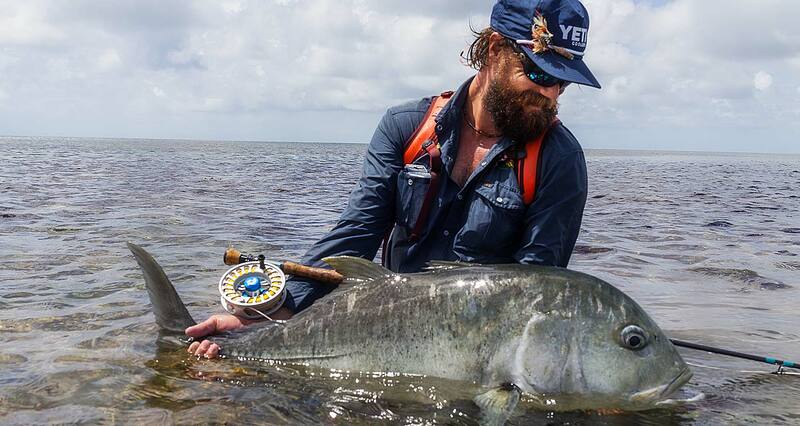 This entry was posted in Fishing Stories, The Hot Ticket and tagged An amazing discussion about life and fly-fishing between April Vokey and Oliver White. by Louis Cahill. Bookmark the permalink. Wow! That was amazing podcast! Rich! Interesting. And what a great story! The whole New York business thing was great! I need to go back to the Bahama’s soon! Thanks G&G or sharing…. a quick 45 minutes. Time l spent. Motivational and full of passion!